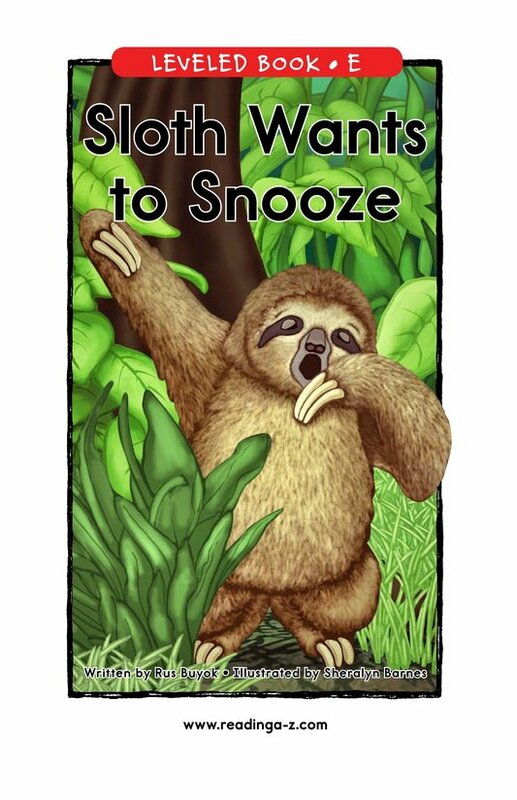 Sloth wants to snooze, but everywhere she goes is too noisy. 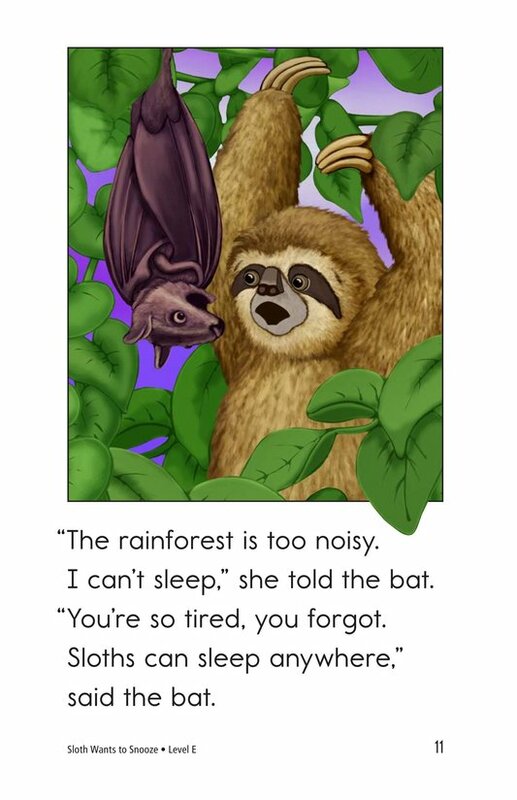 The monkeys, the bugs, even the lizards are making too much racket for her to get any rest. 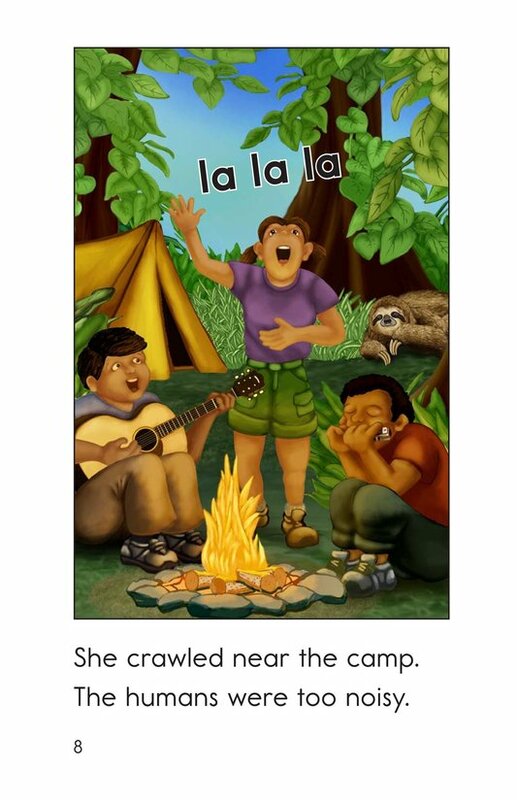 What will she do? 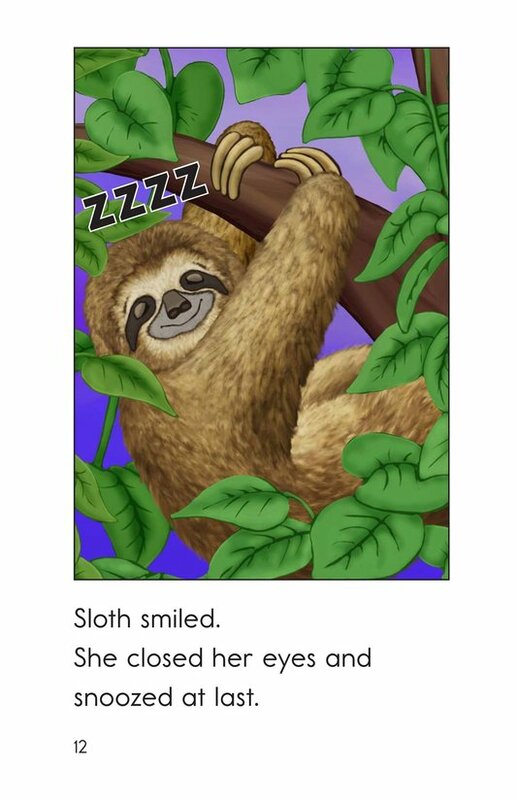 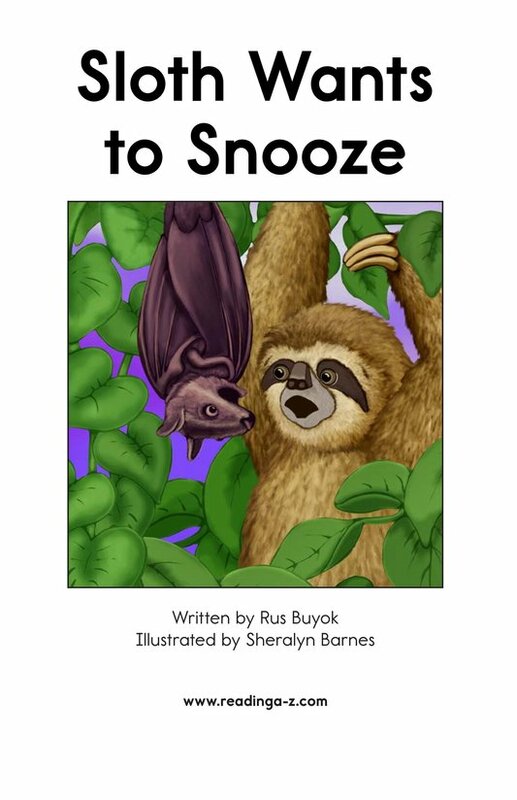 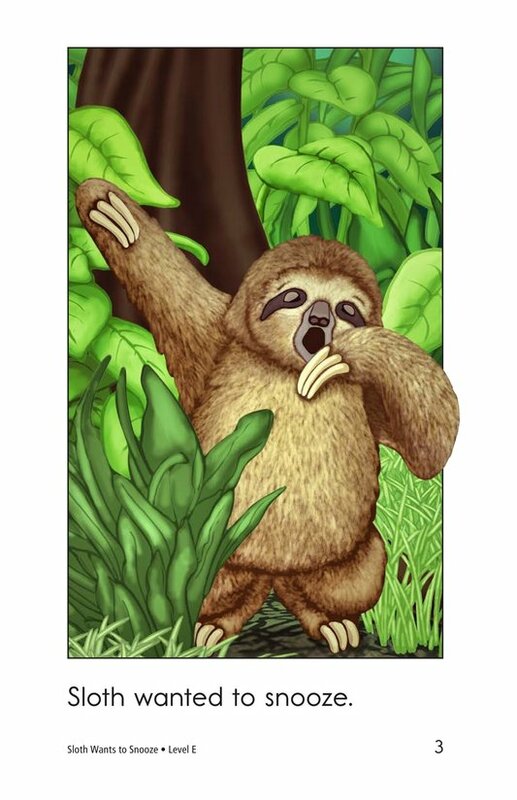 Sloth Wants to Snooze introduces students to one of nature’s more unusual animals, the sloth, and its favorite activity, sleeping. 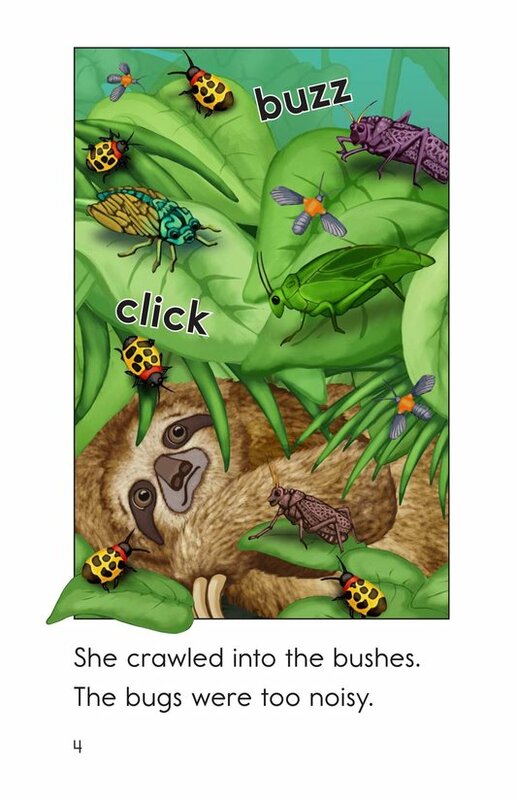 Colorful illustrations add humor and detail. 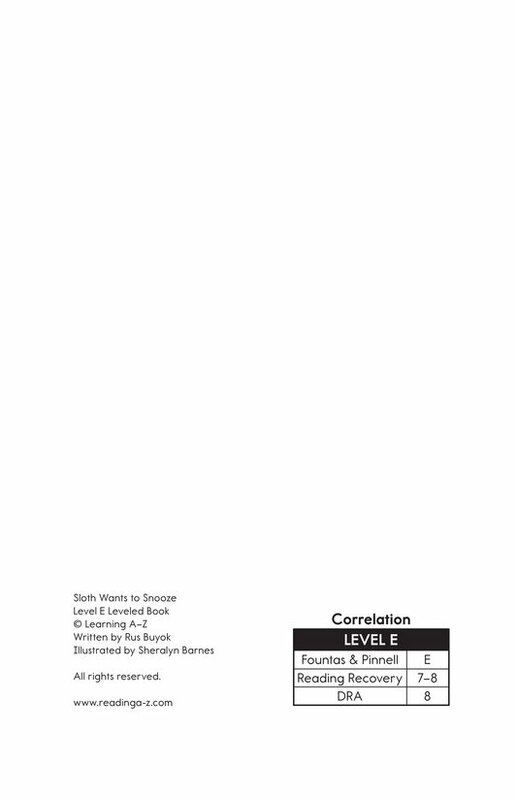 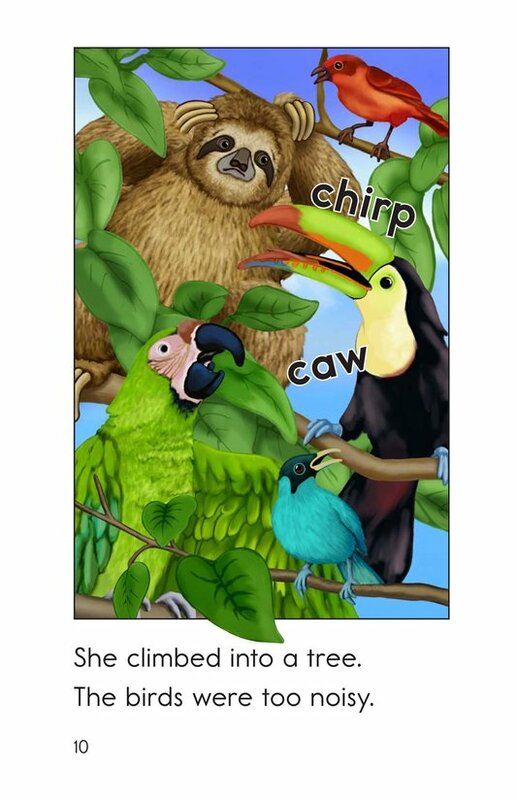 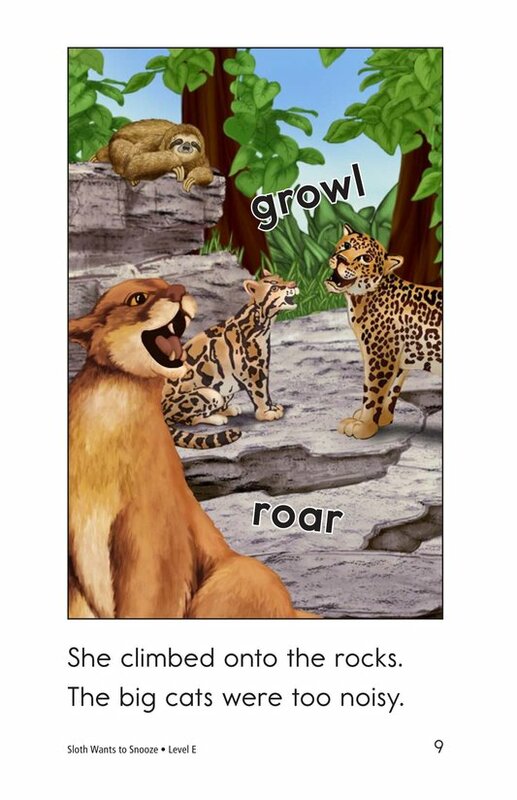 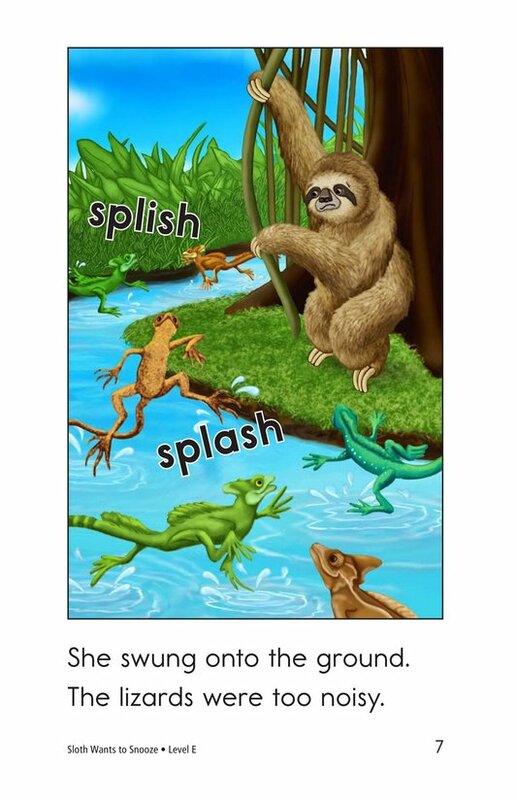 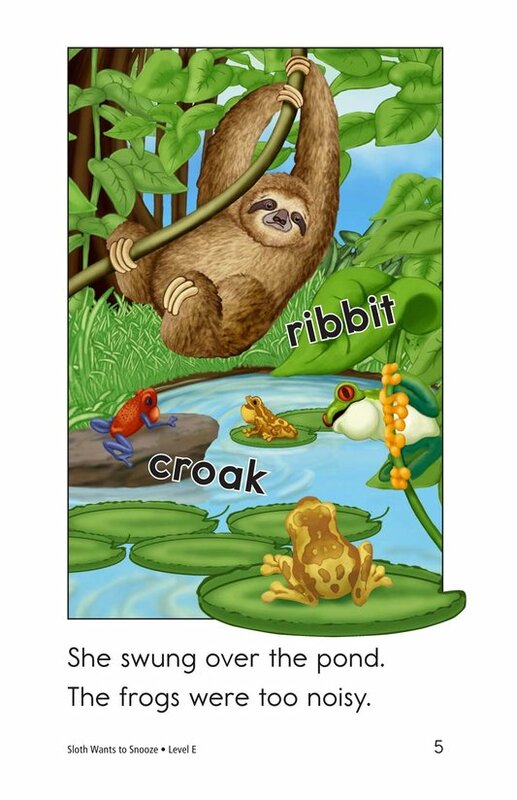 The story also presents opportunities to study sequencing events and verbs.